In a recent video advertisement a local Huntsville attorney claimed that your specific legal problem did not matter. He had the attorney for you. That attorney repeated his claim over and over, inserting very different legal needs each time. “It Doesn’t Matter (INSERT LEGAL PROBLEM), We Have Your Lawyer.” It’s a ridiculous ad. It’s an ad fishing for attorney fees. Think about your legal need. Complicated Elder Law Issue? If you need advice in that area, you better consult an attorney with practical experience in tax issues, with knowledge of Medicare matters, and with a working background in Trusts and Estates. I would. Personally, I would never go to a lawyer that said his firm could service any and all legal problems. I’ve seen too many horror stories in my decades of practicing law where families were torn apart because their loved one had an Estate document prepared by a lawyer who did not fully understand all the issues. 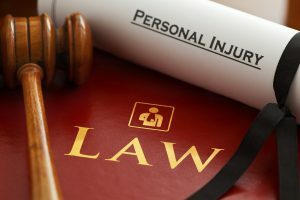 Serious Personal Injury? While any lawyer can try and settle a case, not all lawyers can really settle or complete a case for its maximum value. You should trust a serious personal injury case to a serious lawyer with years of experience studying injury law issues, handling damages claims at actual trials, dealing with complex experts, and preparing injury claims for trial and appeal. The level of attorney expertise can make a big difference in the final result. And, in contested cases it can make a difference between winning and losing. I have received too many phone calls over the years from people who had their personal injury claims ruined by a billboard lawyer who lacked the skill, courage or desire to prepare a serious case. Immigration Matter? The issue is too important for anyone but a specialist. Real Estate Transaction? An error preparing complicated transactional documents could cost you and your family greatly. The local attorney who says your claim does not matter because he has an attorney for it, really does want your case. He wants all your cases badly enough to claim specialties across the board. Until recently, his firm website advertised for wrongful death claims but did not accurately or fully discuss the unique nature of Alabama law on this issue. And, his website contains an actual disclaimer for personal injury claims — a disclaimer that reveals his firm needs to associate a trial lawyer on these cases. The truth — If you have a serious issue, you need more than a lawyer who claims he does it all. You need a lawyer who really and truly specializes in a particular area of the law. A jack of all trades, is really a master of none. At our firm, we won’t tell you that your legal issue does not matter. It does. It matters greatly. It matters so much — We want you to go to a firm that specializes in that need. We won’t tell you we have a lawyer for “whatever” legal issue is at stake. We don’t. We handle plaintiff’s trial work. That’s it. We spend all our time preparing cases and helping people recover compensation for serious personal injuries, for the wrongful death of a loved one, or for substantial damages they have suffered. We often receive calls from people looking for an attorney to help with elder law issues, criminal issues, domestic issues or business transactions. Because we specialize, we don’t have the lawyer for you at our firm. We are skeptical of any firm advertising otherwise. What will we do if you call with an issue outside our specialty? We will tell you the local lawyers we believe to be experts in that issue. At the Blackwell Law Firm, we specialize. If you have a personal injury or damage claim, then we do have lawyers for you. We have lawyers who have specialized in those claims throughout their careers. We have lawyers who handle nothing but those claims. We have lawyers who have actually gone to trial this year for car accident injury victims. We have lawyers who spend their time studying the latest law and trial developments in that specialty. If you suffered a traumatic brain injury and needed medical care, would you hire the doctor advertising on Youtube that your medical condition did not matter? Would you hire the billboard doctor who claimed his clinic treated all conditions and all injuries? Of course, you would NOT. At least, I hope you would not. We have represented many families with legal claims following a traumatic brain injury. We know the choice of doctor makes all the difference. We have seen that difference in our cases. You should apply the same wisdom to your choice in attorneys.